Nitrome's 2D puzzle platformer Bomb Chicken is coming to Switch first, it has been confirmed today. 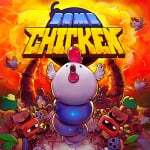 Described as a "fast-paced game that combines action, puzzles and arcade gameplay", Bomb Chicken looks like a cross between Bomberman and Chicken Wiggle. You'll need to lay bombs not only to create platforms for yourself, but also to remove obstecles and create fires which burn away other blockages. You want some PR? You got it. + Lay stacks of explosives to reach impossibly high places. + Kick Bombs to take out staff and deadly native wildlife. 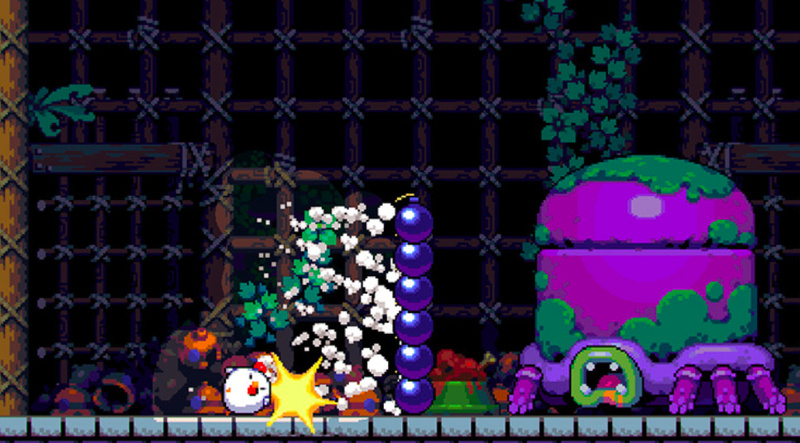 + Bounce your bombs through impassable areas and even around corners! + Use your bombs as a handy weight. + Create a barricade and shield enemy attacks. + Set things on fire and watch them burn! + Super simple controls anyone can play. + Gorgeous pixel art from the award-winning studio at Nitrome Ltd.
+ Bombs and HD rumble are a match made in heaven. We're really liking the look of this one, but what about you? Will you light the fuse? Me too. If the controls are sweet and it offers fun, frustration free gaming, then I may be in on this. One of several games that piqued my interest today. Who remember the Nitrome games from newgrounds? This is perhaps the only game revealed today that has taken my interest. Will keep an eye on this. Nice concept, I'll buy it. I loved Nitrome flash games back in the day, Super Treadmill in particular. I’m excited that they’re finally dipping a toe into console publication, and I’ll definitely be picking this one up. That was like poultry in motion! The messenger and chicken bomb are the 2 stand out games for me from indies direct. Looking forward to the sequel "Manure Cow". The gameplay elements themselves look pretty solid and move smoothly. As long as the level design stays fresh, althroughout, then I can see this being a decent purchase. Nitrome on console!? And switch no less. I'm down for that I had been wondering if they'd try for it one day. I'd personally love to see a Final Ninja game of theirs come upgraded to switch. I grew up on their games. Really liking the pixel art in this game. I'm currently playing Nitrome's "Slime Pizza" and I'm digging their brand of cute and quirky pixel art and their mechanics-centric character design and stories. Wish it had co op, my friend is obsessed with Chickens. "Bombs and HD rumble are a match made in heaven." Me: Alright, it's gonna take more than that to impress me! @Kirbster1992 Yeah, I kinda forgot about how awesome Nitrome stuff is and after reading the guys comment above about Slime Pizza I downloaded that and all of their other games on iOS lol. Got Bomb Chicken preordered and I’m having a ball playing their other games too. As a HUGE pixel art fan I’m ashamed that I missed a lot of this stuff, but glad to be on board!